China said Tuesday it has expressed concern to the United States over what it considered an affront to its sovereignty after two US warships sailed through the Taiwan Strait. The move adds to increasingly fraught relations between the two countries, which have clashed over a number of issues, including trade, Beijing's territorial claims in the South China Sea and human rights abuses in Xinjiang. Monday was the second time in the space of three months that American warships had conducted so-called "freedom of navigation" exercises in the Taiwan Strait, a 180-kilometre wide stretch of water separating the Chinese mainland and the self-ruled democratic island. Beijing "expressed its concern to the US side" as "the Taiwan issue concerns China's sovereignty and territorial integrity", Chinese foreign ministry spokeswoman Hua Chunying told a regular news briefing. Hua said Beijing urged Washington to "scrupulously abide by the one-China principle" and "carefully handle the Taiwan-related issues in an appropriate manner". China still sees Taiwan as part of its territory to be reunified, despite the two sides being ruled separately since the end of a civil war on the mainland in 1949. 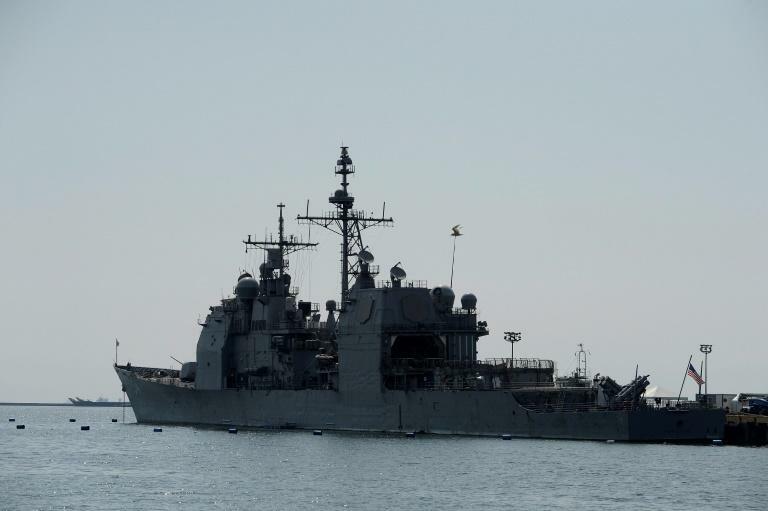 Colonel Rob Manning from the US Department of Defense told reporters that the USS Curtis Wilbur and USS Antietam conducted a routine transit to demonstrate US commitment "to a free and open Indo-Pacific." Multiple Chinese warships shadowed the two US vessels during the transit, following at a safe distance, American defence officials told CNN. Beijing recently conducted a series of military manoeuvres, including a live fire exercise in the Taiwan Strait in April, declaring its willingness to confront Taiwan's "independence forces." Washington remains Taipei's most powerful unofficial ally and its main arms supplier despite switching diplomatic recognition to Beijing in 1979. The Trump administration has sought closer ties to the island, announcing plans last month to sell it $330 million spare parts for several aircraft including the F-16 fighter and the C-130 cargo plane. Taiwan's premier William Lai said during a parliamentary session Tuesday that Taiwan respected the US right of passage in international waters and recognised "the various efforts of the US in maintaining peace in the Asia-Pacific Region". Taiwan's defence ministry had said in an earlier statement that the military was "closely monitoring the US warships during their passage".